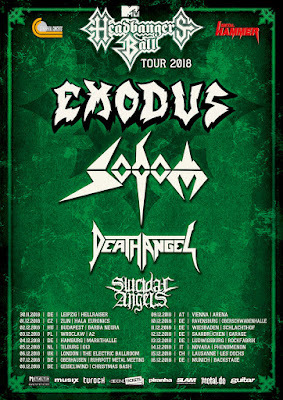 Attention all Sodom-fans, there's a number of exciting news coming in November from Tom Angelripper & Co. The band will release their new single and video for "One Step Over The Line" on November 2. This is a live version from the Rock Hard Festival and the song is the bonus track of the digital version of the new EP "Partisan" (Sodom.lnk.to/partisan), which will be released on November 23. 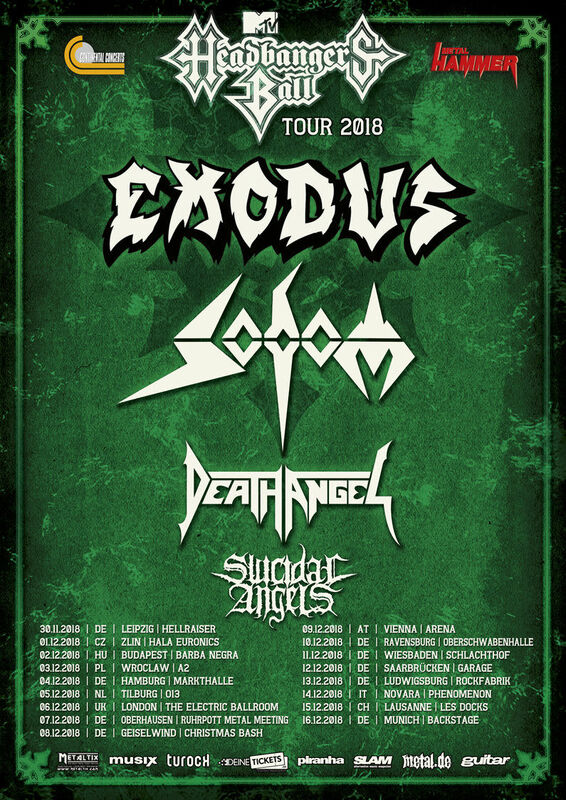 On top of that, SODOM will take part in the MTV Headbangers Ball Tour 2018, starting November 30 in Leipzig, Germany.